Hotel Pegas is located in the centre of the City of Brno, directly beneath Špilberk Castle. The hotel is associated with the first private brewery in Moravia, where special beers are brewed right in front of its guests. The hotel offers single, double and triple rooms. All the hotel´s rooms have recently been completed refurbished, air-conditioned and come complete with a bathroom, WC, radio, television, safe, Internet connection and minibar. Parking is available in multi-storey car parks in the centre of town. Guide services can also be provided. There is a permanent retail exhibition of objets d?art in the reception lobby. 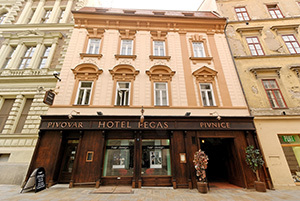 Hotel Pegas Brno is Member of the Czech Association of Hotels and Restaurants. 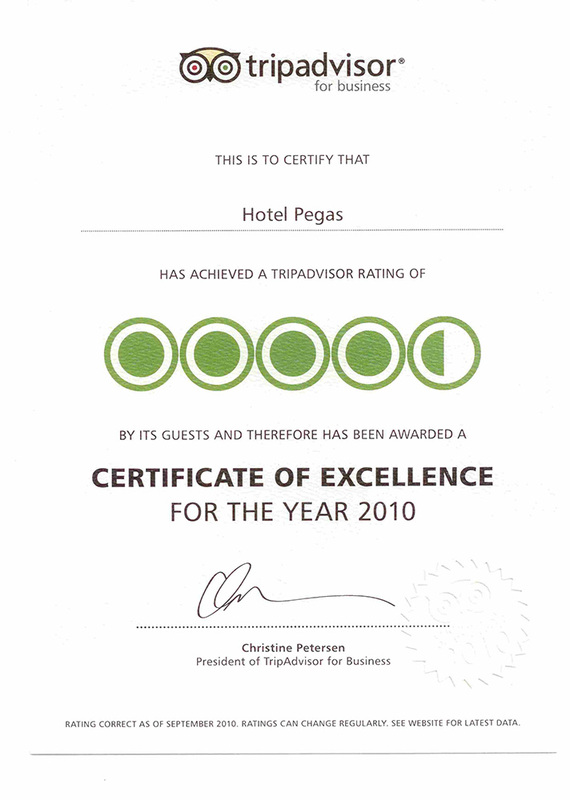 Hotel Pegas Brno has been awarded a certificate of excellence.